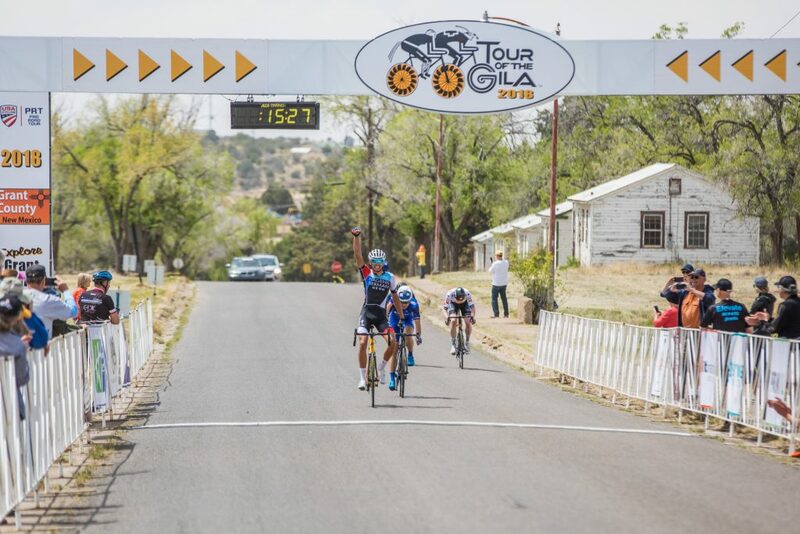 Chris Blevins (Axeon Hagens Berman) outsprinted his breakaway companions to win his first ever stage at the Tour of the Gila and move into the lead of the sprint classification. Blevins crossed the line ahead of Daniel Jaramillo (UnitedHealthcare) in second, and Jelly Belly Pro Cycling’s Cormac McGeough in third. The trio had been in a break most of the day that included Janier Acevedo (UHC), and Cullen Easter (303 Project). The break made it to the end of the 75-mile day in 3:17:12, after working together to build a sizeable lead. Canel’s Specialized worked hard with little help from Rally Cycling, to reduce the lead down to just under a minute at the finish in Ft. Bayard. Acevedo had hoped to earn time on GC, and sits less than a minute now behind Oscar Sanchez (Canel’s Specialized). Sanchez remains in the lead, 8 seconds ahead of Rob Britton (Rally Cycling), and 55 seconds ahead of Acevedo. In the women’s race, Chloe Dygert (Twenty20) notched her second win of the season, sprinting across the line ahead of Rally’s Emma White, and Diana Peuela (UHC) in third. The finish was a chaotic one that saw several riders go down on a mild descent. Edwige Patel crashed after riders in front of her touched wheels and went down. Besides sitting in third on GC, Patel also earned enough points moving her ahead of Katie Hall (UHC) in the KOM Classification. Hall remains in the lead, with Emma White earning the green sprinters jersey. 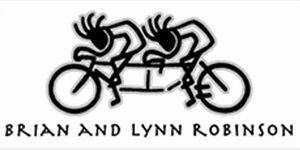 Racing resumes in the morning at the Tyrone Individual Time Trial at 9:00 AM with the UCI men followed soon after by the UCI women. Racing for QCW Cycling, earned enough QOM points to move her into the lead of the classification. World-class racers and amateurs alike traveled the Inner Loop Road Race on Thursday, April 19. 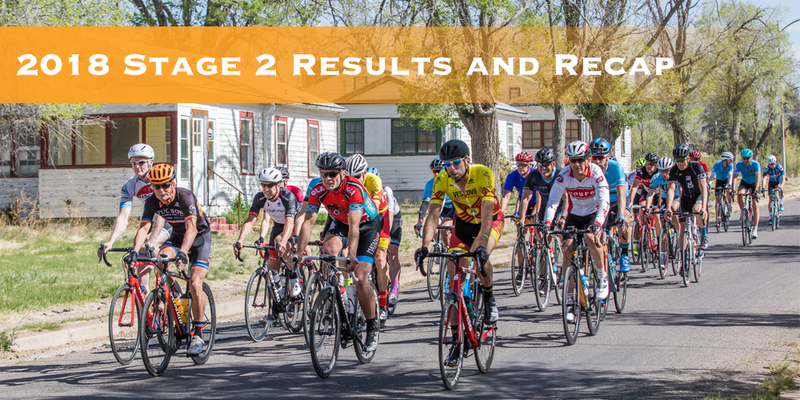 Different classifications left at different times form two different start points, but all concluded at the Historic Fort Bayard National Landmark with a flat sprint finish for most groups. The UCI Men traveled 76.2 miles and UCI Women traveled 74.1 miles. The race course required 5,781 feet of climbing and had beautiful straight aways with sprint bonus opportunities accompanied by critical descents and tough climbs. 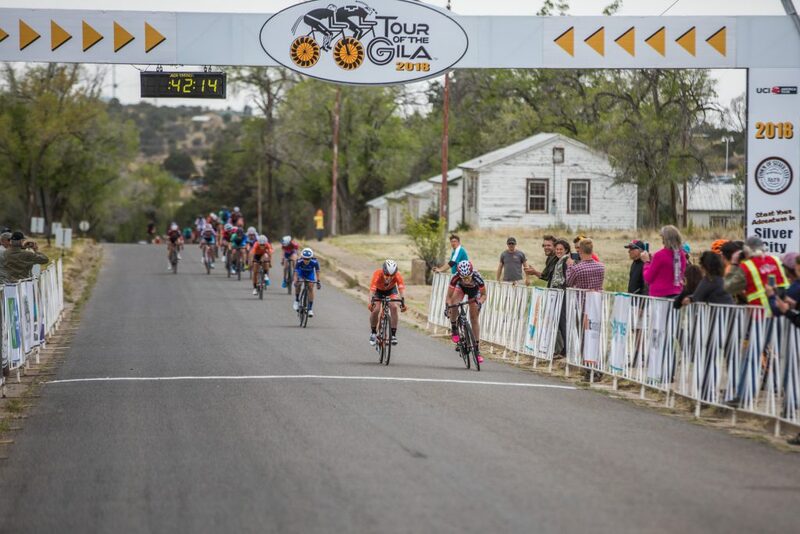 UCI Men rose to the challenge of the Gila with Christopher Blevins of Hagens Berman Axeon, completing the course in just under 4 hours, averaging a speed of 19.2 miles per hour. The silver went to Dani Jaramillo Diez on UnitedHealthcare with s.t., followed by Cormac McGeough of Jelly Belly p/b MASSIC at .02 behind. Standings after two days of racing leaves Oscar Eduardo Sanchez Guarn of Canels-Specialized in the top place, followed by Robert Britton of Rally Cycling at 11 seconds back, and Janier Acevedo Calle in third of UnitedHealthcare at 55 seconds back. Team standings after two days of racing has UnitedHealthcare first, Hagens Berman Axeon second, and 303 Project in third. UCI Women showcased diverse riding talent with Chloe Dygert, of TWENTY20 p/b SHO-AIR, crossing the line first, averaging a speed of 20.07 miles per hour. She was followed by only .02 tenths of a second by Emma White, of Rally Cycling. Completing the top three was Dia Peurela Martinez of UnitedHealthcare, only .04 behind the leader. After two days of racing, the UCI Women’s field stands with Katherine Hall leading the group, followed by Sara Poidevin of Rally Cycling, just .12 seconds behind, and Edwige Pitel of QCW Cycling .18 seconds behind. Team standings have Rally Cycling in first, followed by TWENTY20 p/b SHO-AIR, and third to UnitedHealthcare. Tomorrow’s stage will be the Tyrone Time Trials where racers leave every 30 seconds and battle the clock and 1000 feet of climbing, but most dreaded will be the wind. Forecasts put potential wind at 25 miles per hour. 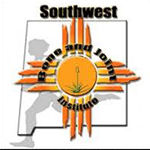 Thanks to our stage sponsor Lynn and Brian Robinson and Southwest Bone and Joint.